Shaddock, known in our grocery stores as a Pomelo or Citrus Grandis in a text book, is a tangy sweet South-Asian fruit with a distinctive citrus flavor. 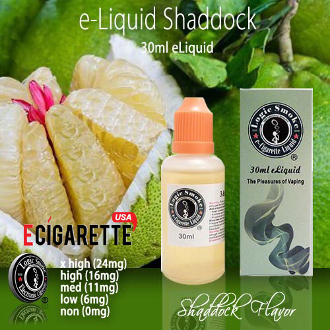 This unique tropical fruit flavor is sure to jazz up any clearomizer and add zest to your collection of electronic cigarette liquid! Experiment and decide what is best for you. You'll love the spicy flavor of the D.Per E-liquid. Happy vaping!